In an interview with CFIF, Sally Pipes, President and the Taube Fellow in Health Care Studies at the Pacific Research Institute, discusses how the nightmare continues with the second open enrollment season for ObamaCare commencing November 15th, days after the mid-term elections, and why ObamaCare may be on shaky ground as court battles loom. Ramirez Cartoon: Hello? 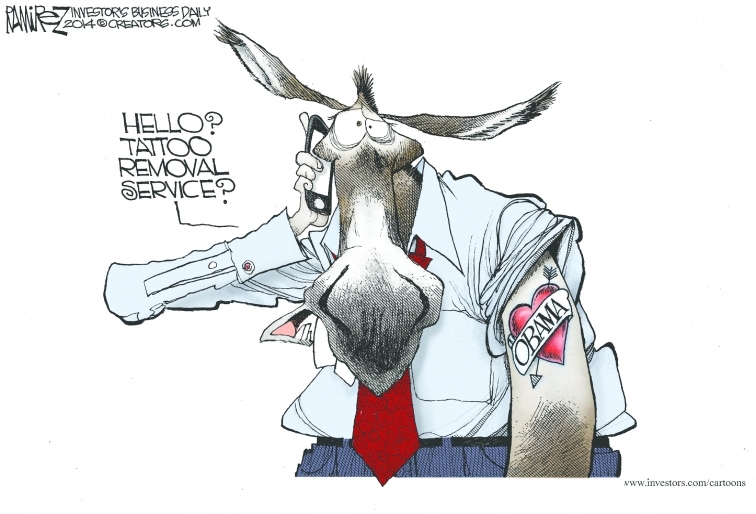 Tattoo Removal Service? 5:30 CDT/6:30 pm EDT: Sally Pipes, President and Taube Fellow in Health Care Studies at the Pacific Research Institute — ObamaScare and Ebola. Those of us who oppose the Obama Federal Communications Commission’s (FCC’s) effort to bridle the Internet with so-called “net neutrality” regulation have explained at length why reclassifying the Internet as some sort of 1930s-style public utility under Title II is a dangerous idea. Perhaps we we haven’t devoted appropriate time, however, to explaining why it’s almost certainly illegal. As a broader policy matter, the vague and muddled calls from the extremist left to reclassify broadband typically don’t extend beyond an emotional demand for federal bureaucrats at the FCC to “do something.” Or, as we often put it, they seek to impose a “fix” for an Internet that isn’t at all “broken.” Accordingly, they go about offering substantive policy proposals as if lunching at a salad bar stocked with bad ingredients. They pick and choose bad items, assembling what they consider a perfect combination. But what they instead create is a Frankenstein-like monstrosity. And in terms of legality more specifically, the FCC would be treading onto extremely unstable ground if it opts to follow the demands of far-left activists by rushing headlong into this dubious Title II reclassification proposal. The fact of the matter is that the FCC has long contended that the Internet is a Title I service. Therefore, in order to reclassify, the law requires it to meet a higher burden of proof as to why it got the initial classification wrong. Hysterical activism from the far left that has tended to characterize this debate won’t suffice, whether as a matter of law or a matter of logic. The FCC has already twice lost this legal battle in court (first in 2010, and again in 2014). Rather than stubbornly tempt a third judicial rebuke of its effort to impose “net neutrality,” it would be better to learn its lesson as it proceeds with its rulemaking effort. And that’s only with regard to traditional wired networks. When it comes to wireless Internet (like the 4G/LTE smartphone technology), the law actually expressly prohibits the FCC from imposing Title II-type rules. That clarity may not discourage the net-roots fringe from demanding reclassification, but it most certainly should stop the FCC from exceeding its legal mandate and once again blatantly flouting both the letter and spirit of applicable law. 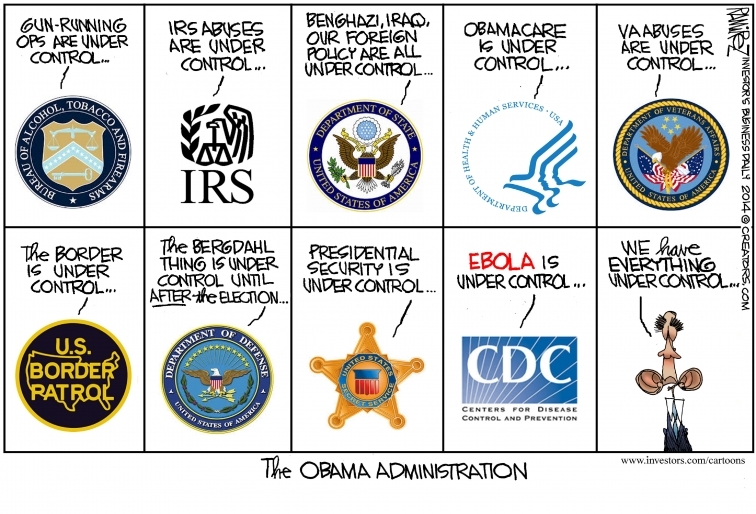 Despite six years of effort to the contrary from the Obama Administration, we remain a nation of laws, not men. That timeless principle does not yield to extremists’ pursuit of the “net neutrality” unicorn. To date, and through previous administrations of both parties over the past two decades, the FCC has avoided attempting to classify Internet service under Title II for good reason: it is bad policy and bad law. Everyone except those clinging to an ideologically extreme position on the matter have recognized that reality. We therefore cannot allow such Title II extremists to suddenly divert us from the “light touch” regulatory course that has made the Internet one of the most beneficial and revolutionary innovations in human history. There’s too much to lose. In this week’s Freedom Minute, CFIF’s Renee Giachino questions what limits exist on the federal government and the importance of state and local sovereignty as envisioned by the Founding Fathers. In an interview with CFIF, Chris Edwards, Director of Tax Policy Studies at Cato Institute and Editor of DownsizingGovernment.org, discusses the 2014 fiscal policy report card on America’s Governors and how state and local taxes harm America’s competitiveness. Conservatives who want a “reformer with results” resume to run for President of the United States in 2016 should be praying that Scott Walker gets reelected this year. The Wisconsin Republican governor is in his third tough campaign for the state’s top office in four years, having initially won the office in 2010 and then surviving a recall effort in 2012. If Walker wins again in November, expect to see him become the dark horse candidate to win the GOP nomination. But first Walker has to win reelection. And that’s no guarantee. Robert Costa of the Washington Post has an interesting analysis of Walker’s main problem this time around: Falling 150,000 jobs short of his 2010 pledge to create 250,000 jobs in Wisconsin during his first term. 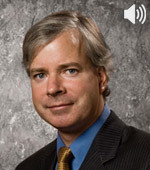 For his part, Walker has blamed the state’s union culture. “We don’t have a jobs problem, we have a work problem,” he said in a televised debate with his Democratic opponent. That may be true, but it’s not sitting well with some voters. If Walker is defeated, conservatives will likely lose an important voice and option during the 2016 sweepstakes. It will also mean rollbacks of the union-busting laws he helped implement. Neither would be good. Hopefully, Walker can avoid both. 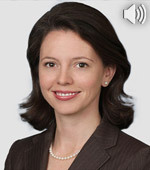 In an interview with CFIF, Megan L. Brown, partner in the Washington, D.C., office of Wiley Rein LLP, discusses the U.S. Supreme Court’s 2014 term, the “hot” cases currently on the docket and what issues might come before the Court later in the term. Ellis: Sign Up for ObamaCare, Become a Union Member? Podcast: Is It Too Late to Stop Ebola Before It Becomes a Pandemic? Re Progressives, What Would the Founders Do? As we gear up for another week of politics-as-usual, it’s helpful to keep our eyes on what we’re arguing for and how we do it. In a splendid little essay about civil discourse rightly understood, political scientists Matt Parks and David Corbin explain how to keep one’s dignity when defending our republic. What’s a critic of Progressivism to do? Follow the example of Publius: argue vigorously about the common good while judging with charity the aims of one’s opponents. Respect friends of the rights and liberties of the people wherever you find them and seek to correct them when their means don’t match their ends. Lies should be called lies and there’s no need to assume that well-intentioned plans and proposals will end well, but a healthy measure of forbearance joined with an openness to self-criticism will do more for the cause of republican government than a conservative equivalent of the Big Smathers Lie. The result will either be to reopen the public square to civil discourse by enlivening a debate over the common good or by showing Progressives, in their intransigence, to be both cynical and unserious about the most important political questions. In other words, we honor the public square when we assume the best of our opponents’ intentions, even if we are compelled by logic and evidence to criticize their ideas. It’s a high bar to clear, but worth the struggle. In this week’s Freedom Minute, CFIF’s Renee Giachino discusses the significance of voter ID requirements, the importance of protecting both the rights and privileges of American voters and making sure every vote counts on Election Day. The Government Accountability Office (GAO) says that the State of Arkansas and the federal Department of Health and Human Services (HHS) violated federal guidelines when they agreed to expand Medicaid under a “private option” plan. Arkansas was one of the first states to get permission from the Obama administration to expand Medicaid, but on different terms than laid out in ObamaCare. Medicaid is the state-federal program that pays for health care services for the nation’s poor and disabled. Under normal circumstances, Arkansas would only be allowed to get a waiver from ObamaCare’s expansion structure if it could prove that its plan would be budget neutral. “According to federal regulations, the U.S. Department of Health and Human Services (HHS) has certain procedures they must follow when reviewing state requests for Medicaid waivers,” write experts at the Foundation for Government Accountability. The result is an additional $778 million more in spending on Arkansas’ version of Medicaid expansion than would have occurred had HHS insisted on following its own budget neutrality rules. The entire analysis of the GAO’s report is worth reading since it explains other serious problems with the Arkansas plan. Perhaps the most egregious is the depth at which the Democratic governor’s office and loyal state agencies went to mislead Republican state legislators on the true cost of the expansion. Evidence of bad faith negotiations like this make it impossible to have a substantive policy conversation. Even now there are reports that the governor is peddling incorrect information, and trying to silence opposition. What’s emerging from the Arkansas fiasco is the extent to which supporters of bigger government will go to entrench their policies – truth, fairness and accountability be damned. In the last year we’ve learned that Lois Lerner and other officials in the tax-exempt unit singled out conservative groups for extra scrutiny before approving their requested non-profit status. That was followed by revelations from IRS higher ups that they mysteriously lost thousands of emails from Lerner and others during the timeframe of interest to congressional investigators. “The Internal Revenue Service wrongly withheld or failed to adequately search for records in hundreds of Freedom of Information Act requests, while accidentally releasing sensitive taxpayer information in other instances, an independent government watchdog found,” reports the Washington Free Beacon. The Beacon is summarizing an analysis released by the Treasury Inspector General for Tax Administration (TIGTA). As an independent federal agency, the IRS has a grave obligation to be accountable to the citizens it serves, either directly through FOIA requests or indirectly through congressional oversight panels. That the IRS seems chronically incapable – and increasingly, it seems, unwilling – to honor due process and the rule of law is reason enough to launch a full-scale reconsideration of what the agency does, how it does it and what kind of people should be entrusted to follow the rules. A months-long negotiation over whether and how Indiana might expand Medicaid under ObamaCare may be coming to an impasse. On Monday, Indiana Republican Governor Mike Pence emerged from a meeting with federal Health and Human Services Secretary Sylvia Burwell Mathews without any positive news. “We had a substantive discussion, but we are not there yet,” Pence said in a statement quoted by the Indianapolis Star. At issue is whether Indiana will be able to use ObamaCare’s Medicaid expansion dollars in a way that moves the program in a more market-friendly direction. As I’ve written before, conservatives can support reforms to entitlement programs so long as they move in that direction. With HHS refusing to let Indiana require modest co-pays under its expanded Medicaid plain, the next move is up to Pence. He could weaken his proposal, but doing so would sacrifice any pretense his plan has for being fiscally conservative. On the other hand, he could stand firm on principle and absorb the potentially damaging criticism that he’s leaving almost $1 billion in federal Medicaid payments on the table – all of which is new taxpayer-financed spending. 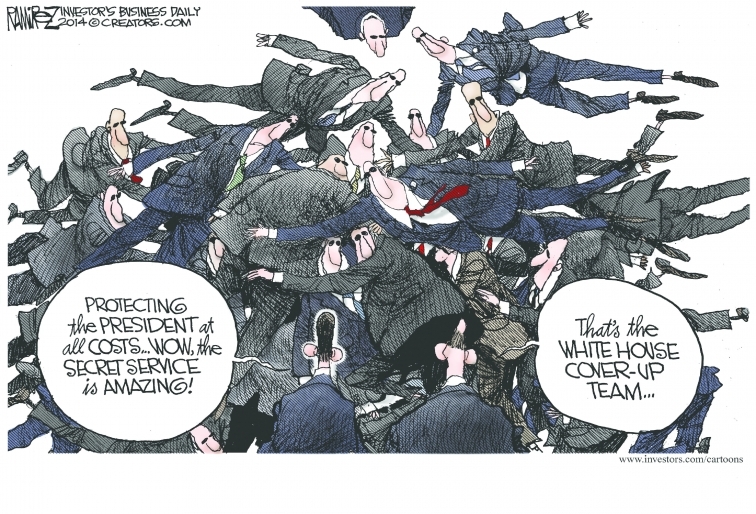 Pence is thought to be a dark horse GOP candidate for president in 2016. His decision on this policy issue will go a long way towards determining how viable such a campaign would be.